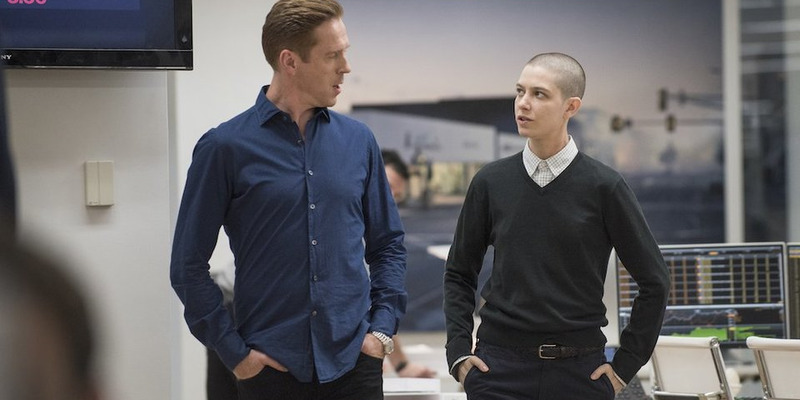 The third season of “Billions,” the Showtime series that looks at the high-stakes world of hedge funds, is airing Mondays at 2pm AEST, the same time as the US, exclusively on Stan. The creators talked to Business Insider about how the show has been received by the finance world. They also discussed why giving up trading feels like such an existential threat to Bobby Axelrod (Damian Lewis) and how their characters would metaphorically amputate their arm to make that next $US1 billion. “Billions” is back for its third season on Showtime (Mondays at 2pm AEST exclusively on Stan), and its power-hungry cast of characters is more morally compromised than ever. This season – don’t worry, no spoilers – takes the battle between Bobby “Axe” Axelrod (Damian Lewis), a hedge fund titan, and Chuck Rhoades (Paul Giamatti), a US attorney, in new directions and sees an expanded role for fan favourite Taylor Mason (Asia Kate Dillon). The series has developed quite a cult following in the finance world, and its creators, Brian Koppelman and David Levien, told Business Insider that Wall Street certainly wasn’t shying away from its depiction in the show. “Our experience has been before the show aired, there was a lot of trepidation,” Levien said in a recent interview. Finance folks were preemptively disavowing the show, saying the creators wouldn’t be able to nail the details. But Koppelman and Levien, who wrote “Rounders” together, have a penchant for capturing insular worlds. “By the second season, people were saying, ‘You know that was based on me, right? '” Levien said. Levien estimated that he’d heard, secondhand, at least 50 guys on Wall Street say a character on “Billions” was based on them. 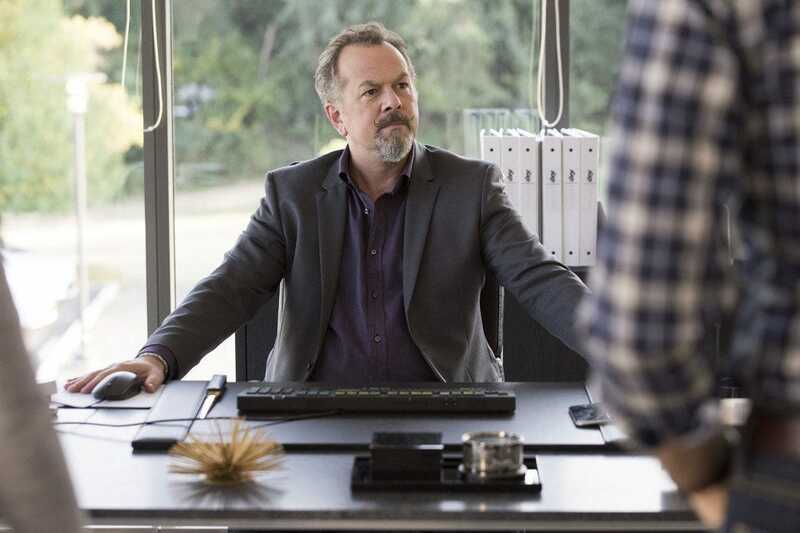 He added that if they weren’t claiming they were the inspiration for a character, they’d say things like “I’m the Wags of my office,” referring to Mike “Wags” Wagner (David Costabile), the incorrigible rogue and COO of Axe Capital in the show. ShowtimeMike ‘Wags’ Wagner, played by David Costabile. Why do we let charm and intelligence stand in for quality of character? Part of the reason people are going up and down Wall Street saying those things is because “Billions” has an uncanny ability to make its characters likable even when they are doing bad things – sometimes very bad things. Koppelman credited the actors with much of that, especially in conveying what the characters truly want. “If you can understand what the character wants, you can empathise,” Koppelman said. Would you cut off your arm for an extra $US1 billion? One reason viewers are so quick to forgive is that it’s hard not to be impressed by the intensity of will of the characters in “Billions” and people like them in real life. 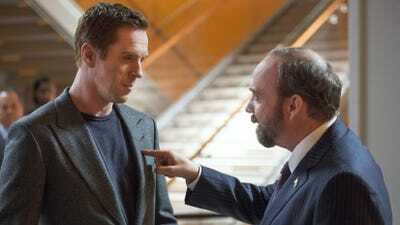 During the previous season of “Billions” – and in this latest one – Axelrod struggles to deal with the possibility that he could be forced to give up trading. For Axelrod, this feels like an existential threat. I asked the creators why that is. Koppelman said that in this season, all the main characters are in a position where they have to fight for that type of self-determination. To keep that status as master of their destiny, the characters in “Billions” will certainly get in the muck and push themselves to the limit. Koppelman said that in some ways, they reminded him of James Franco’s character in “127 Hours,” who amputates his arm to escape after getting trapped in a canyon. Doing that because you are fighting for survival is one type of drive and obviously takes a certain kind of person, Koppelman said. But the characters in “Billions” have a different and particularly American slant. “If you already have $US1 billion, why do you need to do that to get the next billion?” Koppelman said. There is no one answer for that, he said.